Be a leak detective: Check faucets and showers for drips—one drip per second adds up to eight gallons of water every day. Remember to check outdoor faucets and hoses, too. A leaky toilet can waste up to 200 gallons a day! Ask your parents to help you test your toilets for leaks by placing a few drops of food coloring or a dye tablet in the tank and waiting about 15 minutes. If the color shows up in the toilet bowl without flushing, you have a leak that needs to be repaired. Don’t use your toilet as a waste basket. Put facial tissues in the trash. Don’t flush spiders and other creepy-crawlies—capture them in a cup and put them outside. Turn off the tap while you brush—you’ll save about eight gallons every day! 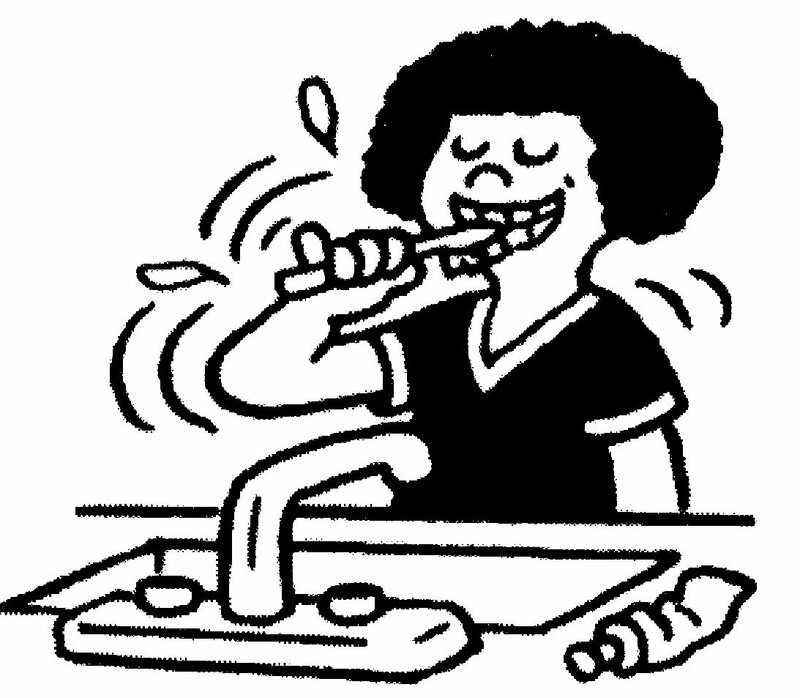 Turn off the tap while brushing your teeth or lathering your hands. This is an easy way to save eight gallons or more every day. Take showers instead of baths. Try timing your shower, then challenge yourself to shorten your shower by two minutes. You’ll save about five gallons! Try this experiment to see how water-efficient your showerhead is. If you discover that you need a new showerhead, MMWD has free replacements available. Put a bucket in the shower while you’re waiting for the water to warm up. Use the water you collect to flush the toilet by pouring the bucket into the toilet bowl. Or, use this water to help your parents water thirsty house or garden plants. Designate a drinking glass for each member of the family and reuse your glass throughout the day. You’ll cut down on the number of glasses that need washing. If washing dishes is one of your chores, don’t rinse dishes under a running tap. Instead, fill a pan with water. Better yet, just scrape the dishes into the trash or compost and put them in the dishwasher. Remember to run the dishwasher only when full. If your clothes aren’t very dirty, re-wear them before tossing them in the laundry hamper. Wash your pet outside in an area of the yard that needs watering. Remind your friends, classmates, and parents to conserve water, too!